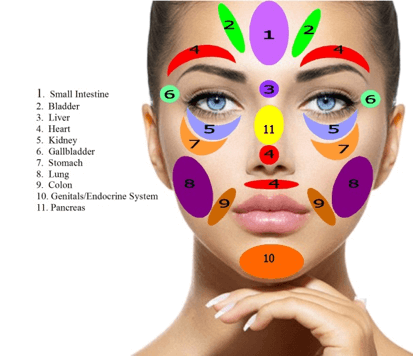 The truth is your body imbalances will show up in the Face/ Tongue/ Nails LONG before any blood test or other conventional testing will indicate there even IS an imbalance occurring. Even more amazing is the fact that our faces are also shaped by our environment. The imbalances in the organ systems show up quickly and consistently. Your face is a visual metaphor of your life. How we think and feel affects the appearance of our face. Face reading is not only the 1st language it is also a universal language that can give an instant and accurate assessment of every person we meet, and all they have to do is have a face. Our tongues are a visible internal member of the body. Evaluation of the color, shape, coating and any markings are notated. For the past 5000 years, the Chinese have understood that the tongue is a mirror that will reflect our inner systems and organs of the body. Our body is a functioning system that alerts and alarms us well before we fully realize that we are not well. Understanding this and allowing us to help you move in a healthy direction is our goal. Nails are the transfer point for all nutrients in the body. Each nail is specific to a certain system in the body and provides a clear, visual appearance of which systems are strong and which are weak.It reflects chronic issues in the body. It takes an average of 4-6 months for the nail to fully replace…this allows us plenty of time to see what is contributing to YOUR concerns. Please schedule a New Client Consultation and be sure to let Christina know you want to include Evaluation – Face, Tongue, Nails in your C.A.R.E plan. Please feel free to reach out to us for any questions you may have or to book an appointment. Appointments may also be scheduled via the scheduling buttons located below.